Hollywood & Highland Presents Walter Mitty Exhibit! 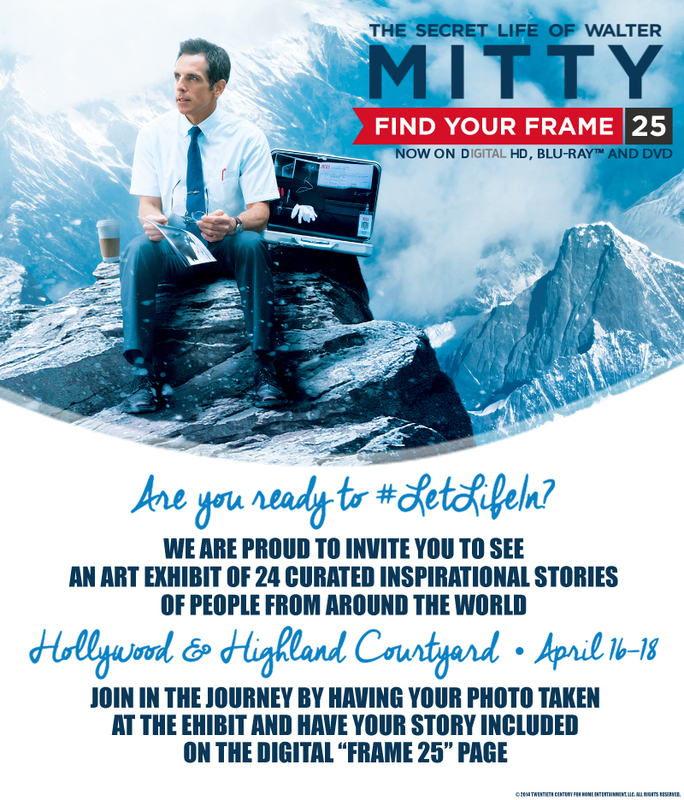 Today and tomorrow from 12 – 6 pm, visit Hollywood & Highland’s Central Courtyard and see the spectacular and inspirational Frame 25 exhibit for The Secret Life of Walter Mitty – now on Blu-ray, DVD and Digital HD! Now’s your chance to capture your “Mitty Moment” and really #LetLifeIn like those featured in the artwork on display. For those not in Hollywood, don’t fret! You can join in on the fun by visiting WalterMittyMovie.Tumblr and enter for a chance to win a trip to Iceland! Visit the Secret Life of Walter Mitty: Frame 25 exhibition to view the stories of real people who dropped the routine and started marching to the beat of their own drum, and then share your own stories. April 16-18 12-6pm, in the Central Courtyard. Visit WalterMittyMovie.Tumblr.com for more information and to enter for a chance to win a trip to Iceland!